Universal welding management software WeldEye is now available for managing the quality of robotic welding. 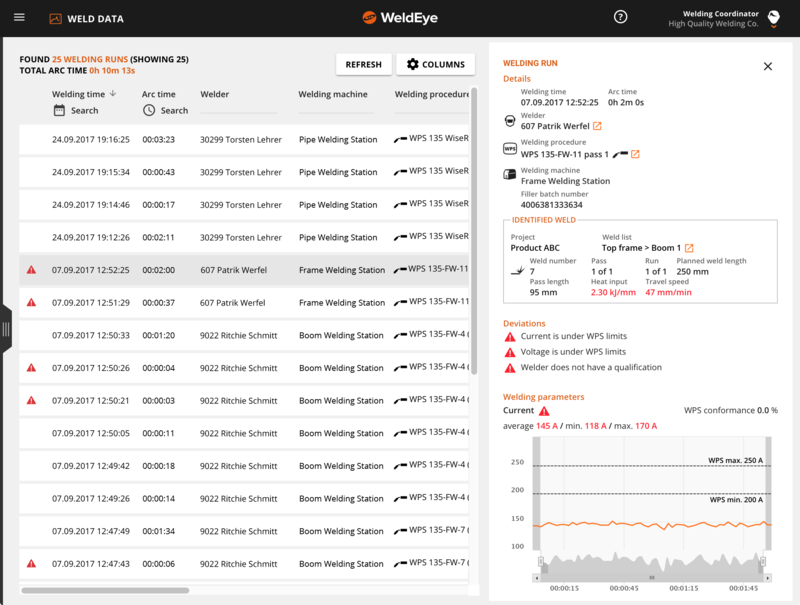 By collecting data from the welding robot and synchronizing it with weld lists in the cloud service, WeldEye provides an effortless way of monitoring robotic welding quality and its compliance with welding procedure specifications (WPS). In addition, the software ensures full traceability down to each weld and welded end product. Data collection requires that the welding power source is connected to WeldEye’s Digital Connectivity Module. The device then transfers the data wirelessly to the software, where the information can be easily viewed and analyzed further. In addition to the web browser-based user interface, the WeldEye mobile application can be used e.g. for real-time monitoring of welding parameters, operator identification, or selecting the filler wire material. “With WeldEye you will know what has been welded, at which welding station, and when it happened. It also reports the used welding parameters, heat input, and any possible deviations in real time and with precision. 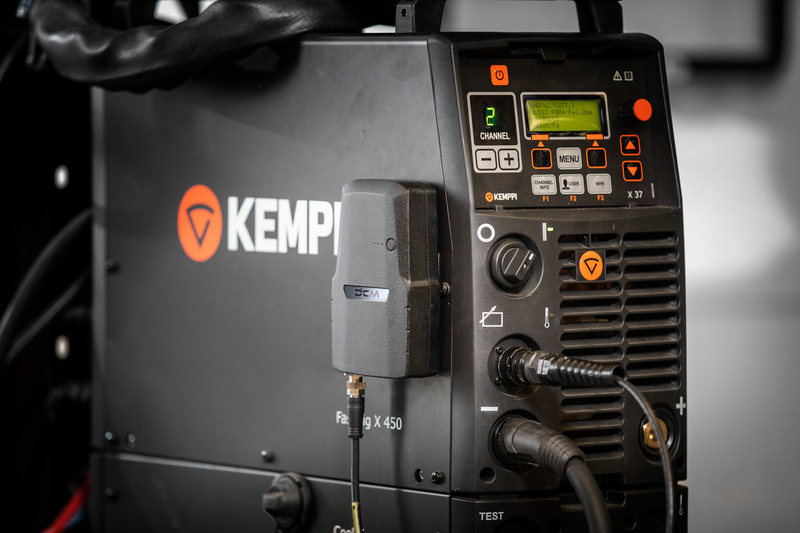 The logic is based on identifiers, which help us track even a specific filler batch in welding production if it has been faulty,” says Vesa Tiilikka, Product Manager, Software at Kemppi Oy. The development of the WeldEye software has been successfully piloted with Kemppi’s robotic welding system, A7 MIG Welder. “All setups will be configured case-by-case according to the customer’s needs. If you have been looking for a robotic welding solution that can be monitored in terms of welding quality and traceability, I encourage you to contact us to see what we can do to help out,” says Artturi Salmela, Product Manager, Automation at Kemppi Oy. The Digital Connectivity Module transfers data wirelessly from the welding stations to WeldEye. 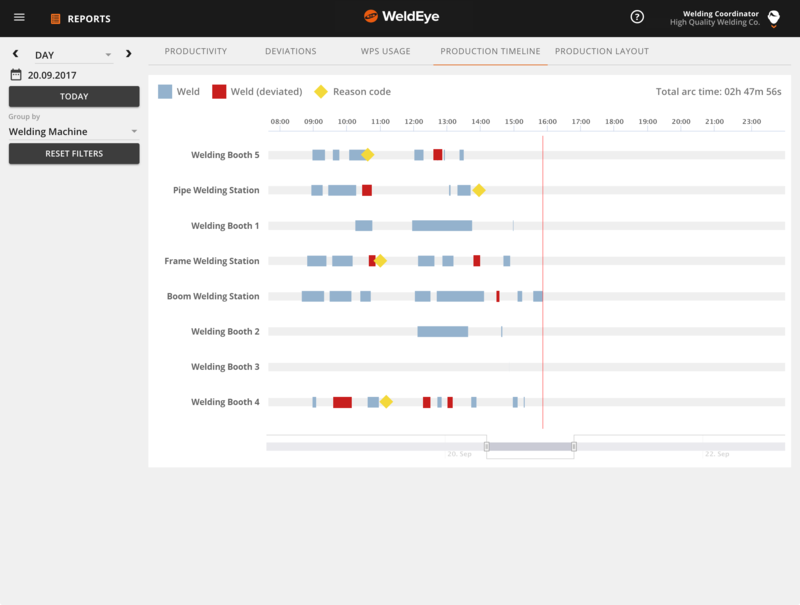 WeldEye collects data on arc-on time, welding deviations, and reason codes used to report non-welding activities. Welding runs can be reviewed against the digitally collected, detailed welding parameter data and heat input calculations. The data from the robot is synchronized with the weld lists and product structure in WeldEye, which enables full traceability down to each weld and welded end product.